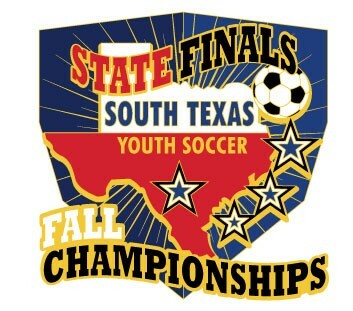 The South Texas Fall Championships is a multi-stage tournament that is open to teams playing in Division II and Division III. Play begins at the local level through the local South Texas Member Association’s fall league. 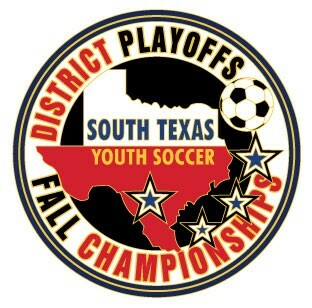 At the conclusion of the league, South Texas Member Associations will submit teams to participate in District Playoff event, the champions of which will advance to the State Finals weekend. To inquire about participation and associated cost, please contact your local member association, found HERE. *UPDATE 12/7: MISSION CITY SOCCER COMPLEX (Boys Division II) State Finals Postponed to Rain Date Weekend 12/15-16 due to flooding. College Station Sites (Girls Division II) remain as scheduled. Team Check-In Information: Penberthy: 12/8 at Penberthy Rec Sports Complex (by the main entrance). Teams must check-in at least one hour prior to their scheduled match. Veterans Park: 12/8 at Veterans Park (headquarters next to field 7). Teams must check-in at least one hour prior to their scheduled match. Team Check-In Information - 12/15 at Mission City Soccer Complex. Teams must check-in at least one hour prior to their first scheduled match. 1.) Roster - Signed by a responsible officer of the Member Association (usually the Registrar) and including all players who were rostered to the team during Fall Play. Contact your Club Registrar to obtain. STYSA is sending the Host Associations the rosters, but bring a copy just in case there are any discrepancies. 2.) ID Cards - properly prepared and laminated ID Cards with current pictures and they must be signed by your registrar - required for all players (no exceptions - they must be laminated). VIRTUAL CARDS AT FALL CHAMPIONSHIPS ARE NOT CONSIDERED AN OFFICIAL VERSION OF THE PLAYER CARD. 4.) Penalty Point Report - For District Playoffs, these will be submitted to STYSA from your Association. 5.) Only one team representative is needed to check-in the team as long as they have all the proper documentation. The whole team does not need to attend check-in. Team Check-In Information - 12/1 at Bear Creek Park (in front of the concession stands). Check-in will begin at 6:30am. Teams must check-in at least one hour prior to their first scheduled match. Team Check-In Information - 12/1 at George Bush Park (in front of the concession stands). Check-in will begin at 7:00am. Teams must check-in at least one hour prior to their first scheduled match. Team Check-In Information - Check-in will begin at 7:00am on 12/1. Teams must check-in at least one hour prior to their first scheduled match. Check-in will also be held on 11/30 from 7:00pm - 9:00pm at Schertz for local teams. Team Check-In Information - 11/30 - local teams: Starbucks on Walzem Rd. - 10:00am - 12:00pm 11/30 - all teams: Y.O. Ranch Hotel - 6:00pm - 8:30pm 12/1 - teams must check-in at least one hour prior to their first scheduled match. October 26, 2018: Allocations are prepared by the District Vice-Presidents and are distributed to Association Presidents. November 2, 2018: Deadline for Member Associations to accept/decline their allocations. November 2, 2018: The State Office will invoice Member Associations for the teams advancing to Fall Championships. 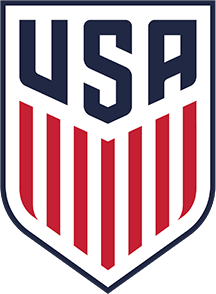 November 20, 2018: Team Fee Deadline from Associations. November 20, 2018: Deadline for Associations to submit participating team information to the State Office.